Our entire family has very sensitive teeth. All of us have tooth problems, some to a bigger extent than others. 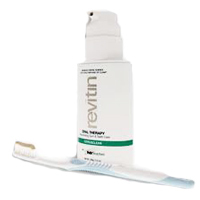 I am glad to have discovered Revitin - an all natural toothpaste that is safe enough to ingest! In the world of natural, fluoride free toothpaste - they are all pretty much the same, right? That's what I thought. Until I discovered Revitin. Most toothpastes, even 'natural' ones, contain detergents such as sodium lauryl sulphate. It's about the worst thing you can apply to your teeth because it prevents tooth remineralization, getting rid of all the good along with the bad in your mouth. 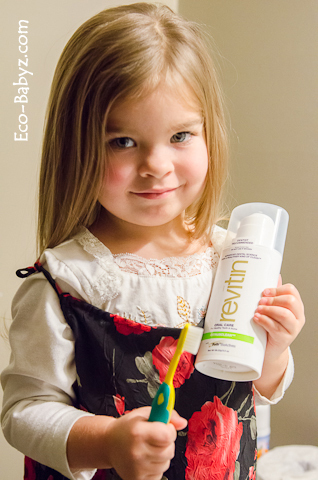 Revitin is great for kids because it is gentle and contains no fluoride. Revitin works with the natural 'good bacteria' in your mouth and prevents bad bacteria from taking hold. As you can see, Revitin is actually brown in color, don't be alarmed! It's not created the same way as other toothpaste. It is full of minerals, vitamins, and homeopathic tissue salts in amounts high enough to actually benefit your teeth and gums for the short duration of time that you are brushing. I think it looks darker in the image above, in person it's more of a light beige. I have to say I wasn't sure what to expect from this toothpaste, but I'm so glad we've tried it! I am in love with the clean feeling, even though it is different from what I'm used to - a good kind of different. It would be very hard to go back to something else, it just isn't the same. While I would wholeheartedly switch to Revitin, the price really stings. At over $26 with shipping for a 3.5 oz tube, it's just way over our 'toothpaste budget'. You do receive free shipping when you buy 3 or more, and you can buy 6 but pay for 5, but it is still way more than we can spend on toothpaste to be honest. I hope they do branch out to be available in more places, like Amazon. I'm just amazed that I woke up with no 'morning breath'! 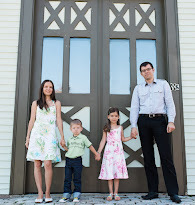 That alone to me is worth the price tag! I've never tried a toothpaste that can do that. Baby E suffers from fluorosis, so we always get fluoride free toothpaste. She is not a fan of mint or strong flavors though, so Revitin is perfect for her. It has a pleasant taste and I don't have to worry about her ingesting some or not rinsing out completely. It's also the perfect first toothpaste to try with Baby T when his teeth come in. He got his first tooth this past weekend, we are so excited! I highly recommend trying Revitin. It's great for anyone, and especially those with sensitive gums and mouths - if you suffer from canker sores, you must try this. I've read many reviews from people whom this has helped. Come to think of it, Baby E has canker sores very often and I hope in the long term this will help prevent them. It's also great for chemotherapy patients since one of the side-effects of radiation is mouth sores. I just love having the opportunity to try innovative products like this, so that when I meet someone who is looking for a solution to a problem - I have an answer! Four of you will win one tube of Revitin each! I learned it does't contain SLS, which " Studies have shown ... can lead to canker sores in the mouth and stripping away all of the healthy, friendly, odorless bacteria make the mouth more prone to all types of irritants,". I have been trying to avoid SLS, so this is good news! Any chance there is another way to enter without having Facebook?? I would love to try to win but don't have a Facebook account, thanks! On second thought, I just opened up the entries, there is no mandatory one :) welcome! It doesn't contain detergents or chemicals! That's pretty awesome! I learned that this product was created by Dr. Curatola and Dr. Shuch, renowned dentists around the world. I didn't realize that regular toothpaste has sodium lauryl sulphate in it and could be making my canker sores worse! I learned that mouth is a reflection of what can be going on in the rest of your body, how interesting we often don't think that way. Finally a toothpaste I can use. Thanks I have been looking for a toothpaste for sensitive teeth for a long time. I hadn't heard of this brand before, but I learned that it "fosters a balanced oral biofilm that supports healthy teeth and gums"
I would love to try this since I do not use fluoride or toxins. I learned that it has no SLS and it is completely natural. Woohoo! I have been useing it for over 8 years and so has my family both here and in Germany. My sister in law who lives in Germany had a very real problem with bleeding gums. No more, she says it is a miracle. Dr. Curatola explained how it works and that was it. There is no substitute for a clean and healthy mouth. He also explained that the mouth is the gateway to our health. Best do what the doctor says. Thank you for sharing that! That's awesome :) Yes, it is true that the mouth and our dental health can tell us a lot about our well-being and what is wrong or right on the inside!